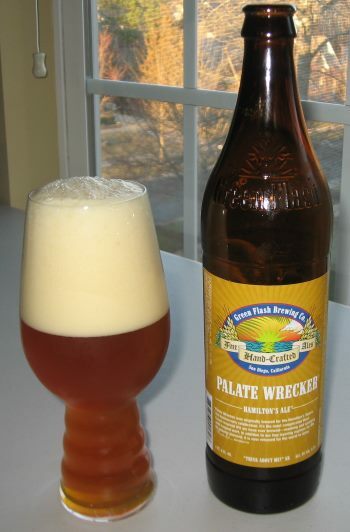 Palate Wrecker is a big West Coast style IPA that was originally brewed for Hamilton’s Tavern and has clearly been influenced by Stone’s Ruination. (So called because it “ruins” your palate.) It’s an Imperial IPA, so big on flavor, body, and alcohol. The head is creamy and the nose has a ton of grapefruit, grass, and some pine. The middle is heavy and sits on your tongue, imparting flavors of grapefruit, lemon, and honey. The finish explodes with pine, a bit of grapefruit rind, and some booziness from the alcohol. (9.5% ABV) This may be the purest Imperial variant of the West Coast style IPA that I’ve had, and for all the marketing around the 100+ IBU score for this beer, it isn’t anywhere near as strongly and ruinously bitter as Ruination is. I love the west coast style and to me, this is a truly outstanding beer. This entry was posted in Reviews and tagged American IPA, California, DIPA, Double IPA, Green Flash, Imperial IPA, IPA, West Coast IPA on February 28, 2014 by Xander. 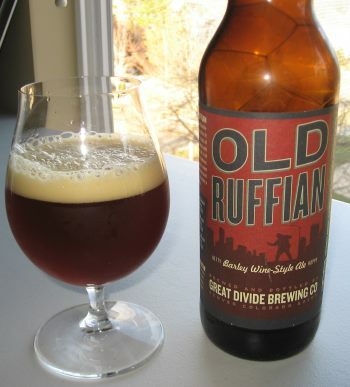 Old Ruffian is a medal-winning barleywine ale from the Great Divide Brewing Company out of Denver, Colorado. They say that it’s hop-forward, but this is no West-Coast IPA. It pours a rich, semi-translucent copper with a thin head, which is to be expected from a barleywine as they are only lightly carbonated. The nose is sweet, with notes of dark fruit (figs and raisins) and toffee. This is a well hopped ale, and the sweet caramel and sugary fruit in the middle is beautifully balanced by the strong hoppy citrus notes of orange zest. The malt comes back to the fore in the finish with brown sugar and plums, and a bit of heat from the alcohol right at the last. 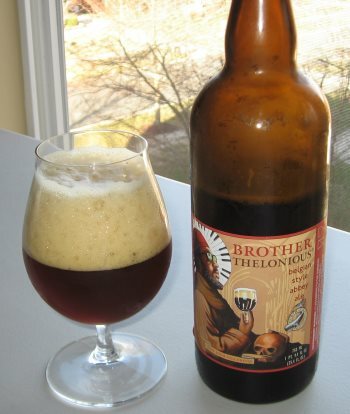 The body is heavy and the alcohol is high, at 10.2% ABV. Barleywines aren’t my favorite, but this is an outstanding example of the style with enough hops to make it enjoyable to any palate. This is a very fine beer. This entry was posted in Reviews and tagged American Barleywine, Barleywine, Colorado, Great Divide on February 25, 2014 by Xander. Jam Session is, as its name implies, a session beer. I’ve found it in 16oz cans, which is just about my favorite container these days. It’s a 5.1% ABV American Pale Ale from the NoDa Brewing Company right here in Charlotte, NC. It is deep orange-amber in color, and has a thick, meringue like head that sticks around. The nose has pine and lemon, and is predominantly hoppy. The middle still leans toward hoppiness but isn’t overpowering. It’s grassy with more lemon and a bit of caramel from the malt balancing it. The finish has a touch of orange and toast and the tiniest undercurrent of pine. This is a really nice pale ale and in this lighter session beer format, one I’m going to be happy to drink quite a bit more of this summer. This entry was posted in Reviews and tagged American Pale Ale, NoDa, NoDa Brewing, North Carolina, Pale Ale, Session Beer on February 18, 2014 by Xander. Oatmeal Stout is one my favorite beer styles for its silky smoothness and heavy body, and Samuel Smith’s is one of my favorites in the style. One of my favorite English breweries in general, in fact, Samuel Smith is a traditional English brewery from Tadcaster, North Yorkshire. The Oatmeal Stout pours a beautiful dark brown, but not so dark as to be opaque. The head is tan and settles into a heavy creamy texture. The nose is soft, with oatmeal and a hint of chocolate. 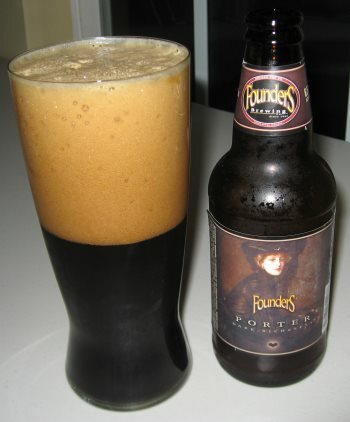 The middle is sweet, and almost reminds me of a milk stout, but it has a slightly lighter texture. The sweetness of the malt is accentuated in this beer with the addition of cane sugar. The flavors are oatmeal, figs, and another hint of chocolate. The finish isn’t wildly different, it just fades into the background with a bit of heat from the alcohol coming forward. I’d take issue with their description of the beer as “medium-dry” as I find it quite sweet, but not overly so by any means. It’s a very nice stout. 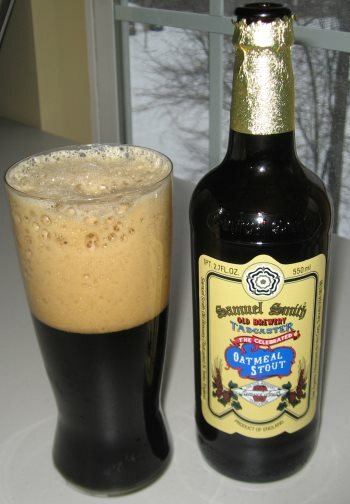 This entry was posted in Reviews and tagged England, Oatmeal Stout, Samuel Smith, Stout, UK on February 12, 2014 by Xander.